Need to cast your stage in a brilliant new light? The ULTRAPAR UP1200 professional die-cast PAR spotlight is a bright idea for bringing on-stage action into focus. The UP1200 includes four glass lenses: narrow spot, spot and 2 medium floods. The color frame accepts standard color foils, making it an easy fit into your existing stage lighting arsenal. The highly reflective and polished reflector insert deliver extremely high luminous efficiency. 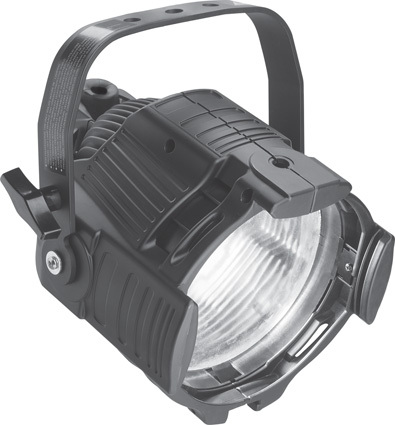 This incredible spotlight is cased in ultra-rugged die-cast aluminum casing that will keep it safe and functional show after show. Its overall compact dimensions make it easy to transport and handle. It comes fitted with a flexible mounting bracket for precise positioning.